In a web browser, navigate to the server’s public web address and add the “/ea” fragment on the end of the web address (i.e. http://technerdservices.ddns.net/ea). The following page will appear. 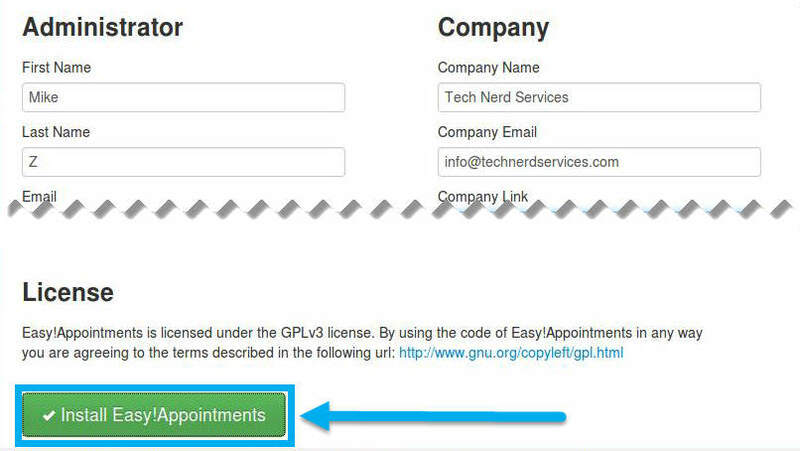 Fill out all fields and click the “Install Easy!Appointments” button. Congratulations! Easy!Appointments is successfully installed on the Ubuntu server. 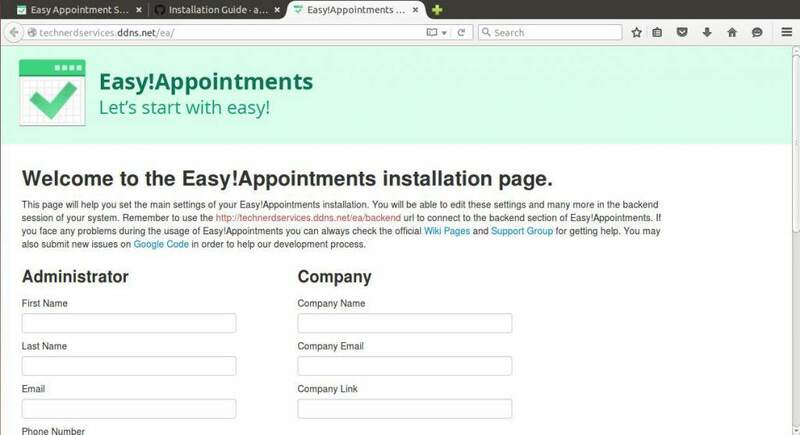 Easy!Appointments is another example of online services designed to improve business processes in small businesses. With minimal expenses and maintenance, free and open source options such as Easy!Appointments can save time and improve efficiency within any profession.